We are committed to delivering the very best in eye care. Our team of doctors, technicians, opticians, and support staff will work to treat our patients with dignity and respect; provide dependable and courteous service; communicate clearly and honestly; protect patient confidentiality; and earn our patients' trust. Berkshire Eye Center offers a full range of eyeglass lenses for children and adults in all prescriptions. Berkshire Eye Center provides comprehensive eye care, from newborn evaluations to treatment of age related conditions such as macular degeneration. We offer routine eye exams and also specialize in the latest laser procedures and perform clear cornea "no stitch" cataract surgery using topical anesthesia "no needle" "no eye patch" in our state of the art Ambulatory Surgical Center. Contact Berkshire Eye Center for a complimentary Vision Correction Consultation. Our staff is waiting to help guide you in the right direction and provide you with any necessary information. Start your journey to better vision now! 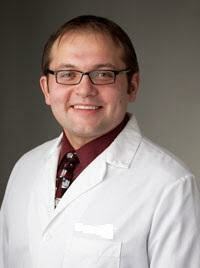 Berkshire Eye Center is pleased to announced the addition of Dr. Marcin Zygawski to our practice! Dr. Zygawski is a Board Certified Ophthalmologist, with special interest in no-stitch cataract surgery, toric and multifocal lens implants, glaucoma care, dry eye management and surgical eyelid disorder management. Be sure to read more about Dr. Zygawski by checking out his bio page. Welcome to the team!